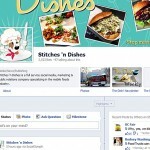 Stitches & Dishes, a pioneer in Social Media Marketing for food trucks and stands, outlined the best practices for marketing with the new Facebook Timeline page layout. 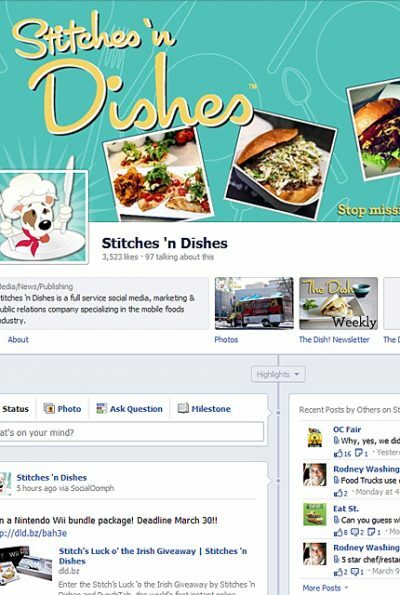 Christopher Ford, Co-Founder at Stitches ‘n Dishes, a pioneer in Social Media Marketing, advertising and PR services for mobile food trucks and food stands, released Ford’s recommended best practices for integrating the new Facebook Timeline page layout for street food businesses. Facebook launched Timeline on February 29, 2012 and has given page owners one month to integrate the new layout on their pages. Food truck and food stand operators who understand Facebook‘s critical role in Social Media Marketing, and have taken advantage of its many features are somewhat reserved about activating the new Facebook Timeline page layout. Some street food vendors are very concerned about what the new layout means for their businesses, however Facebook’s new Timeline for pages will become mandatory on March 30. Ford recommends that food truck and food stand operators prepare now. Facebook’s introduction of Timeline also presents an opportunity for food truck and food stand operators who have not previously used Facebook in their Social Media Marketing strategies. “This is the perfect opportunity for food truck and food stand operators to step into the limelight and shine,” said Ford. 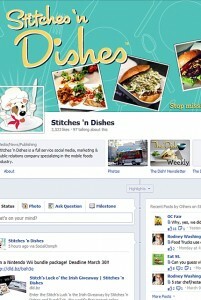 Ford spells out the six most critical best practices for food trucks and food stands in establishing and implementing Facebook’s new Timeline for pages in an article on the Stitches ‘n Dishes blog site. Facebook will automatically transition all pages on March 30, 2012. Some of the features that food truck and food stand operators use today will no longer be available, and if vendors do not configure the layout properly, other features may not be visible to their customers. Stitches n Dishes is a full service social media marketing and public relations company specializing in the mobile foods industry. A Food Network, Eat St blog partner, Stitches n Dishes knows street food, food trucks, county fairs, events and mobile apps. Consumers visit our food blog for mobile food news, reviews, high quality food photography, and videos. Stitches n Dishes also provides useful street food nutrition and wellness information, and recipes in our weekly blog series. Food truck and food stand operators, and caterers trust Stitches \’n Dishes with their social media marketing, advertising and PR campaigns. Stitches n Dishes is a leader in integrated marketing, advertising and PR strategies for street food vendors, and specializes in SEO, social network, marketing, advertising and press release services.